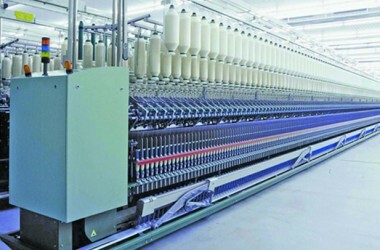 LAHORE – The Pakistan and Iran bilateral trade can reach the level of $10 billion mark within very short period from the present volume of less than $800 million, as both the countries have been doing their most of trade including rice via Dubai despite inking Preferential Trade Agreement (PTA) since 2006. The Rice Exporters Association of Pakistan chairman Ch Samee Ullah Naeem said that Iran is a nation of rice eaters where the average per capita consumption of rice is 46kg. “The Iranian brothers are very fond of Pakistani super basmati rice due to its taste, aroma, length, and cooking ability. We request the Iranian government that the access of super basmati rice be facilitated through rational trade measures and technical barriers must be removed,” he said. Addressing a ceremony, the REAP chairman requested Iran to impose lower duty regime on imports of Pakistani rice in Iran under PTA. The ceremony was also attended by acting Consul-General of Iran in Lahore Majid Sadeghi Dowlatabadi and former Iranian foreign minister Syed Kamal Kharazi. He called for going forward from PTA to a FTA with preferably a zero import duty regime on both sides. He said that agriculturally enriched Pakistan likes to have bilateral trade relationship with Petroleum enriched Iran. We both have the right products for each other to trade and mutually co-exist but it is unfortunate that most of trade is being done through other countries. “We both have the potential to increase our bilateral trade volume to $5billion if the problem in transferring money through banking channel is addressed. He proposed to open Iranian bank in Pakistan which will, by far, the most conducive step forward for ensuring sustainable trade between both Islamic nations. This presence of Iranian bank in Pakistan will facilitate private business in Pakistan to interact with Iranian counterparts on long term basis. He said that the currency swap agreement ensures participation and involvement of private sector across the borders and hence crafting a much deep rooted ties which are beyond International pressure. He also announced that REAP is leading a 17-member delegation to Tehran, Mashhad from April 29. The visit would ensure vibrant businessmen interactions from both sides resulting in enhanced trade within regional block. Former Iranian foreign minister Syed Kamal Kharazi, addressing the ceremony, stated that Tehran was working on a proposal for opening bank branches in both the countries for direct trade transactions in currencies other than dollar. He said Tehran was interested in bilateral cooperation in various sectors and was negotiating with Pakistan for reducing duties on bilateral trade.